As soon as UI testing was announced as a new feature in Xcode 7, we were itching to download the beta to start putting UI testing to the, uh, test. Starting a fresh project and targeting the latest (albeit, unreleased) version of iOS is one thing. But as we can see by Apple's continued support of the-phone-that-will-not-die, a.k.a. the iPhone 4S, the practical way to kick the tires of Apple's UI testing is to get it up and running in an app that's further along the development cycle than clicking single-view-application. Good thing we did too, as we noticed a hiccup or two in setting up UI testing for an existing iOS app. Follow along and you'll see what we mean. If this is the first time you've opened this app in Xcode 7, you'll be prompted to convert your existing Swift code from 1.x to 2. Since you're safely on a different branch (you are, aren't you? ), go ahead and hit convert. 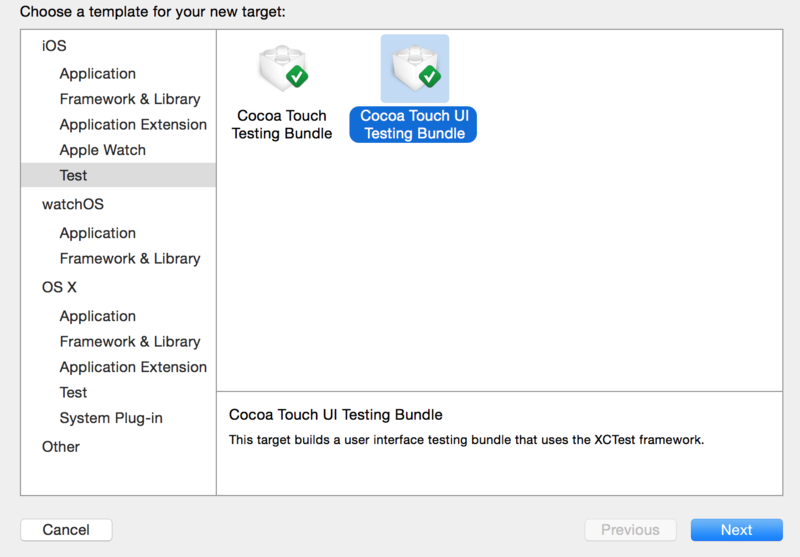 Go to File → New → Target and click Test under the iOS template categories, and select Cocoa Touch UI Testing Bundle. 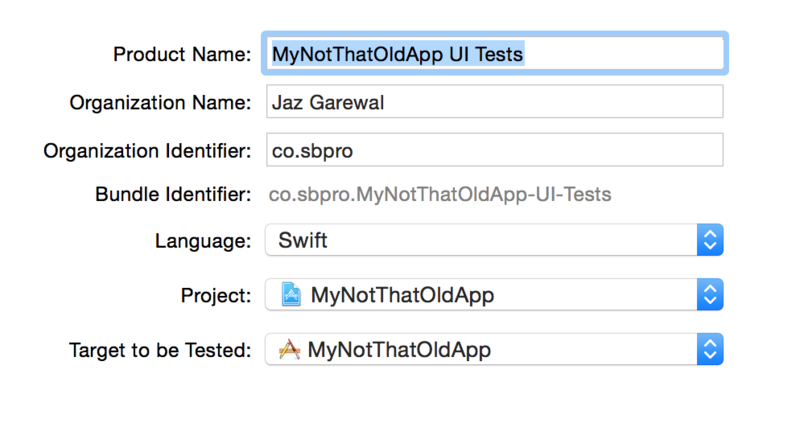 Name your UI test target, or use the default, and make sure your app is selected in the “Target to be Tested” dropdown. If you need to set up assertions on your app's model to see state change when running your UI tests, or check a UI item's accessibility identifier to make sure the appropriate element is on screen, you'll need to use the new @testable import to import your main app module (usually as @testable import YourAppName). If you don't have “Enable Testability” enabled (which, if your project is coming from Xcode 6 or earlier, it most likely doesn't as it's a new Build Option in Xcode 7), and you drop in your @testable import statement, you'll get a warning and your tests will fail to build and run. So, head over to your app target, jump into Build Settings and set Enable Testability to Yes. You can also skip this step if you set up your Podfile with separate statements for importing libraries into your test targets (which, if you are, this is a reminder to do the same for your new UI test target). Otherwise, in your project's info tab, set your debug configuration to “Pods.debug” for your UI tests target if any of your tests have to interact with any of your CocoaPod libraries. Jump into your AppName_UI_Tests.swift file, make your test function, and tap the record button to start making your first UI test!